I am a member of a cookery group called, "Konkani Khann Anik Jevann'' which we call KKAJ, which has some amazing members. This group also has a blog by the same name run by Mrs Usha Bhat. 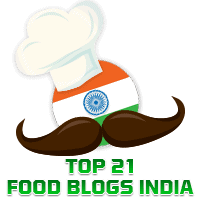 She has got group members to contribute their recipes to this blog so as to allow newer audiences to enjoy Konkani recipes of dishes, both old and new. Tingalavare Suang is a spicy side dish made using Navy Beans, which we call "Tingalavro" in Konkani. I have adapted this from Tingalavre Saung, contributed by Sandhya Puranik in the KKAJ Blog. Wash the tingalavro, and cook along with 1 finely chopped onion, using adequate water, in a pressure cooker for 2-3 whistles or till the tingalavro gets done. Keep aside. Grind together, in a mixer, the roasted red chillies, coriander seeds and tamarind, adding just the required amount of water, to a smooth paste. Keep aside. Serve as a side dish with a meal of rice and dal.